What separates the best 3D sculpting company from the rest is obviously the skilled resource pool it houses. But no matter how much talented the professionals are, they need best 3D sculpting software to assure excellence in the services offered. Initially, it arrived as a normal 2.5D painting app enabling artists to add details and paint objects on canvas that is clay-like. ZBrush then evolved rapidly as a popular app replacing the earlier technique of using pixels with polygons. This helps the users to add needed details to the meshes or create objects right from the scratch. It has a very influential interface but it is unconventional making the learning curve really steep. Though updates are regularly made and new features keep on getting added, it is highly preferred by the expert artists offering 3D sculpting services. The app that was developed by experts behind The Lord of the Rings was released officially in 2007. Autodesk acquired it in the same year. Though it never falls behind ZBrush in any aspect, the app takes a traditional approach towards sculpting. The newest release got equipped with some great retopolgy and symmetry tools. It obviously has exceptional interoperability with Maya and supports multi-tile UV mapping and P-tex texturing techniques. The latest version of Cinema 4D features an innovative sculpting model and more advanced options for symmetry. It arrives with a wide range of stamps, stencils and brushes for incorporating even the minutest of details. Features like mesh projection and mirroring etc. helps you in re-topologising by transferring the high resolution sculpted details on a low-resolution poly mesh. Modo is one of the best 3d sculpting software programs, which had come up with its version 301 in 2007. This system provides tools to the users, that they use to sculpt meshes by combining manipulating mesh vertices, and using vector displacement maps, based on images. This enables them to create fine details. The designers benefit from this vector displacement, as they can develop elements like curved overhangs, and not just simple displacement along a polygon. This enables them to keep the geometry light. The multi-resolution sculpting in Modo 501 enables the designers to enhance the sculpting techniques. Modo 801 comes with the ability to apply the brush strokes in splines that you can apply to the mesh. This allows you to repeat the strokes precisely with different brushes, or apply the small details regularly. This is a part of a larger 3d sculpting app, that enables the users to hop in, modify a particular model or view the live renderings. If you are looking for the best free 3d sculpting software, you can go for 3D Coat. This software was developed by Andrew Shpagin, a game developing tool programmer from Ukraine. This app uses three-dimensional pixels, or voxels, that makes its approach differs from the other apps. It has an advantage over the traditional system based on polygons, as the users need not be concerned about the underlying topology. They simply need to draw out a volume, by adding or removing the geometry, as necessary. The program will add the voxels, as per the requirement. Then, the sculpted shape is turned to a surface, which serves the purpose of a 3D sculpting app. The user needs to retopoligise in order to create a workable mesh, as the 3D Coat objects are made up of triangles. This app makes the 3d sculpting process simplified, as it comes with certain excellent manual and automatic retopologising tools. The app also offers a painting and a UV mapping toolset, that supports micro-velvex painting, UV texturing and Ptex UV-less texturing. These are highly beneficial not only to 3D Coat users, but also CG modelers. The edges are slightly rough, but the app poses a tough challenge to the larger ones like Autodesk and Pixologic. Blender came up with the sculpting tools version 2.43 in 2007. This is one of the popular digital sculpting app for beginners, and the functional mechanism of the multi-resolution system is similar to Mudbox and ZBrush. This enables the users to make large-scale changes in the geometry. You can create fine details in the mesh, using this software. However, in version 2.66, the dynamic topography was added, which made Blender equivalent to Sculptris’ Dynamic Tesselation. As a result, the users were able to freely sculpt and develop forms, without facing any problem with stretching the underlying mesh. This system is similar to the Zbrush sculpting techniques and allows the users to add and remove geometry at will. However, the mesh generated in the process is densely triangulated. The sculpting technique in this software is advanced and beginners will be comfortable in using it. Sculptris is an alternative to Blender. 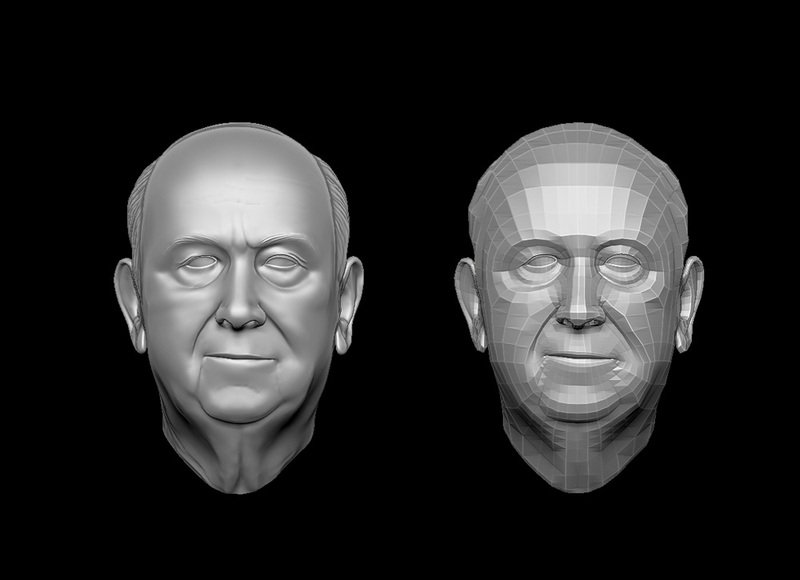 This digital sculpting software was developed by Tomas Petterson as a hobby coding project. However, it was very impressive and Pixologic picked it in 2010, and Tomas joined the programming team. If you are looking for a 3D tools for 3D modeling techniques, you can use this software. It enables the users to draw, sculpt and create forms fast, using ‘Dynamic Tesselation’ and triangular polygons. The app can add geometry as required. However, the mesh developed in the process is dense and is formed only of triangles. This is fine for objects that are static, but in case it is used in a low-poly environment or animated, it will need retopologising. Sculptris is connected to ZBrush through Goz bridge, and it is a good software for the beginners. You can use it for photorealistic sculpture. However, Petterson is no longer associated with Pixologic, so the software is no longer being developed. Therefore, the users can get the software only while it is available and that is now! Stay in touch with us for all relevant updates and information about the entire 3D domain.